Our interpreters are experts in providing interpretation of the spoken word. As part of our ongoing training and certification program, we provide extensive and on-going training to ensure that our interpreters are always properly prepared to deliver a language service outcomes that exceeds our customer’s expectations. We support over 200 languages, including Spanish, German, French Chinese, Mandarin and Vietnamese. Our broad range of interpreting skills include legal, medical, educational, community and are easily adapted to multiple industry markets. No matter what your language service need, we can help you build bridges to better communicate with your desired audience. We take it personal to ensure that every customer encounter is customized to meet the exact needs of the assignment. Non-English-speaking clients or deponents can present a challenging situation for attorneys and law firms during litigation. Whether you are deposing a witness or need to interpret documents written in another language, it’s important to have a language services provider you can count on. As with any legal proceeding, the meaning of written or spoken words matters, and can impact the results of litigation. Into Languages Global provides professional interpreters who not only know and understand the language, but are trained in the unique language of the legal environment. When it comes to health and wellness, accurate and complete communication is critical. That’s why our medical interpreters must complete a healthcare interpreting assessment that measures their linguistic skills, interpreting ability, and knowledge of medical terminology. Many of our interpreters are nationally certified by the Certification Commission for Healthcare Interpreters or the National Board of Certification for Medical Interpreters. Simultaneous or conference interpreting is primarily used in formal group settings, including diplomatic conferences, conventions, courtrooms, meetings, tours and seminars. Whether you need simultaneous interpretation services for one language or several, our linguists are trained to listen to one language while speaking simultaneously in another. We also offer the simultaneous interpretation equipment you need to make any meeting a success. Our expertly trained and certified team is experienced in facilitating important conversations over the phone in over 200 languages. Connecting is easy, with most call connections completed in less than a minute, 24 hours a day, 7 days per week. Our video remote interpreting (VRI) uses a web-based platform to provide sign language or spoken language interpreting services. Through the use of a user-friendly online portal, our clients can access VRI sessions for on demand or pre-schedule services. VRI service can be accessed using a variety of convenient methods such as PC, Mac, iPhone, and iPad, and a high speed Internet connection with sufficient bandwidth. Video remote interpreting is a great alternative for when on-site interpreting service is not immediately available. 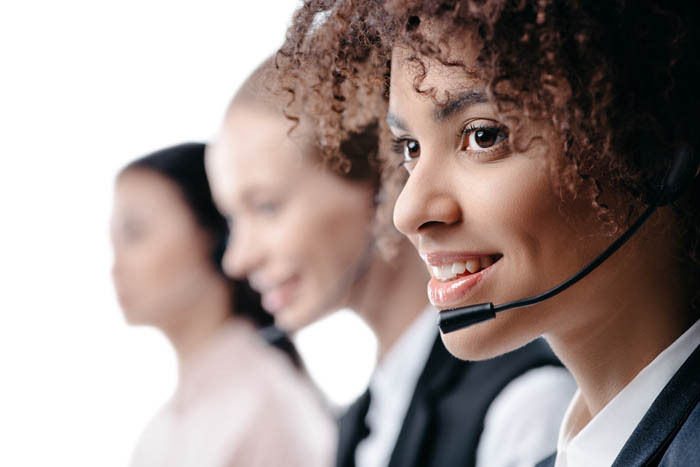 Our interpreting professionals ensure that you experience seamless communication using VRI. 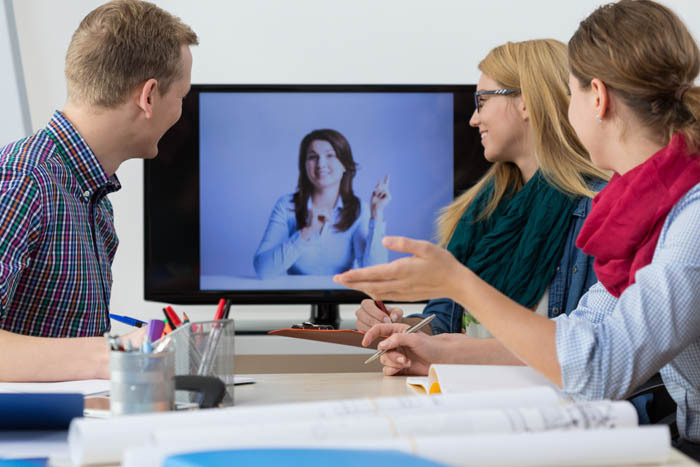 Because we understand the urgency associated with video remote interpreting, we guarantee that our interpreters are available to connect with you in five minutes or less for on-demand service.